Stephen Legatzke is a principal in the firm's Corporate, Securities & Tax Group who concentrates on corporate, partnership, and individual income tax planning, structured financial transactions, debt workouts, and tax controversy matters. 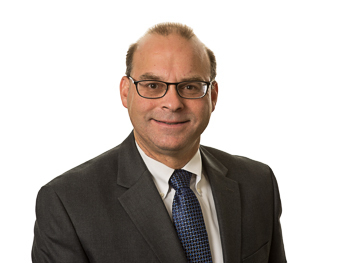 Mr. Legatzke has experience representing international financial institutions, REITs, REMICs, and large and mid-size domestic and foreign corporations, LLCs, and partnerships in federal and state tax planning and taxation of financial products. He has extensive experience with corporate acquisitions, dispositions, joint ventures, structured finance transactions, including securitizations, cross-border financing and leveraged leases, and tax controversy matters. He also has represented both individuals and businesses with respect to compensation tax issues including nonqualified options, profits interests, nonqualified deferred compensation, and sections 162(m), 280G and 409A compliance. Mr. Legatzke has provided advice and assistance to lenders and debtors with respect to the tax issues arising from debt workouts, modifications, debt-equity swaps, foreclosure and cancellation of debt tax reporting responsibilities, trust fund tax penalties, and federal tax liens. Mr. Legatzke volunteers for the Constitutional Right Foundation Lawyers in the Classroom program. He received his J.D. from the University of Virginia in 1992, where he was a Cohen Tax Prize and Scholarship recipient and Articles Editor of the Virginia Tax Review. He received his B.A., with highest honors, from the University of Notre Dame in 1989 where he was elected into Phi Beta Kappa. Mr. Legatzke is admitted to practice in Illinois and is a member of the ABA Tax Section.